After last year’s first year of primary schooling, the second year now follows. 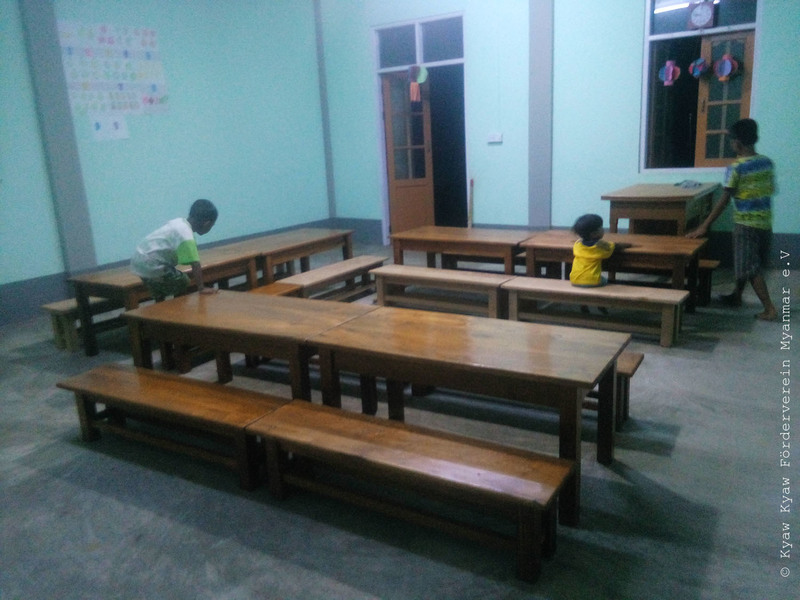 The furniture for the classrooms was completed on schedule at the beginning of the school year. Made by a local carpenter from Mingun. The furniture was manufactured according to plans drawn up by the Förderverein so that the height of the seats and tables could be adapted to their age. Here is a small photo show about the production and the still empty classrooms.